This is because despite a tsunami history caused by volcanoes and earthquakes, Indonesia has not had an effective early-warning system for years. Saturday's disaster is not the first time Indonesia's disaster preparedness has been criticized this year. More than 2,000 people were killed in September following a tsunami and an earthquake in western Sulawesi. Many complain that they have been surprisingly arrested. In July and August, a series of earthquakes shook the northern region of Lombok. 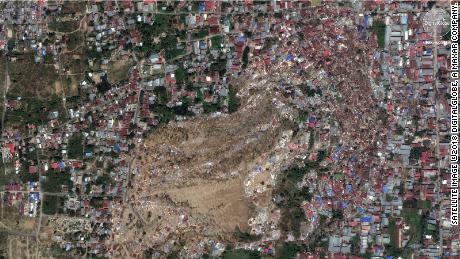 It triggered landslides and collapsed buildings that killed over 400 people. On Monday, Indonesian President Joko Widodo ordered the Agency for Meteorology, Climatology and Geology of the Land (BMKG) to buy tsunami detectors "that can provide early warning to the community". Widodo claimed that the tsunami struck over the weekend did not meet Indonesian predictions at the moment. "Normally an earthquake occurred and visitors on the beaches of Carita and Labuan, as well as on the beaches of Tanjung Reading and Sumur, were unwilling to flee," he said. BMKG chief Dwikorita Karnawati said the agency will try to install flood gates to detect waves near land unable to warn of the tsunami. "This (tsunami) is caused by several factors: Our censors were not an early warning because they are meant for tectonic activity rather than volcanic activity, so we are in agreement with other agencies, such as maritime and geological agencies," Dwikorita said. Anak Krakatau is located on the Ring of Fire, an area of ​​high tectonic activity that spans the entire Pacific Ocean. Volcanoes along the "ring" are formed when one plate is pushed under the other in the mantle – a solid rock between the Earth's crust and the molten iron core – through a process called subduction. Large earthquakes that can trigger tsunamis also occur in subduction zones. Indonesia, the largest island nation in the world, was formed in part by the volcanoes of the Ring of Fire. Overall, the Smithsonian Smithsonian Global Volcanism Program includes more than 1,115, of which more than 125 are still active. Most tsunami detection systems have a seabed pressure transducer and a buoy on the surface. When a tsunami moves over the recorder, the instruments detect and record changes in water pressure. These data are then transmitted to the surface buoys, which relay the message to the wider tsunami detection system. "In most cases, the first sign of a possible tsunami is an earthquake," said the National Oceanic and Atmospheric Administration (NOAA). The group acknowledges that it is much more difficult to predict non-seismic tsunamis caused by landslides, "that may arrive with little or no warning." Written on Twitter After Saturday's disaster, Sutopo Purug Nugroho, a spokesman for the Indonesian National Disaster Management Committee, called on the government to establish a new system to monitor non-seismic tsunamis. 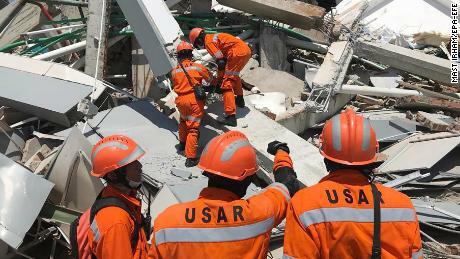 "Indonesia does not yet have a tsunami early warning system for earthquake and volcanic eruptions, and the current early warning system is for earthquakes," he said. "Indonesia needs to set up an early warning system for tsunamis triggered by underwater landslides (and) volcanic eruptions … (landslides) that triggered the 1992 Maumere tsunami and the Palu 2018 tsunami." Sutopo also found that the existing buoys network " since 2012 is no longer operational. " "Vandalism, a limited budget and technical damage mean there were no tsunami buoys at the time," he added. 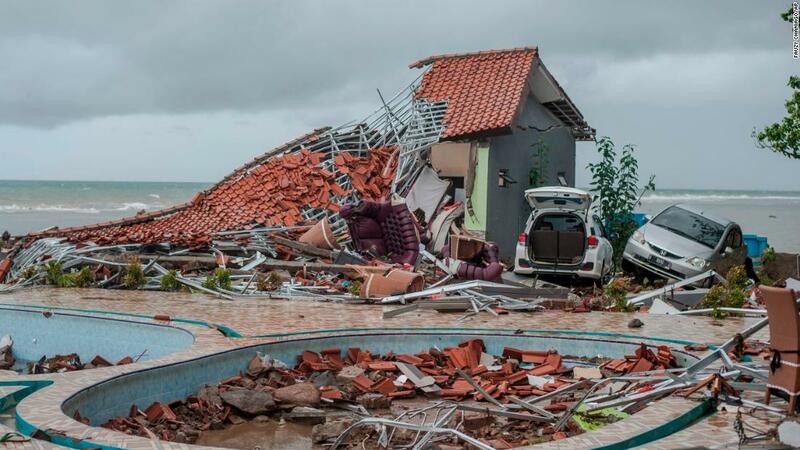 "They need to be rebuilt to strengthen the early warning system of the Indonesian tsunami." Following the fatal tsunami of Sulawesi in September, allegations were made that the detection system was not functioning properly, with many pointing out the fact that a tsunami warning had been raised 36 minutes after the first lift. A spokesman for the disaster department said the warning had been lifted after the waves landed. Unconfirmed reports also claimed that sirens did not sound in some areas because they were out of power due to the initial earthquake and had no secondary energy source. During the devastating tsunami of 2004, several countries donated – including the UK, Germany and Malaysia – Detection buoys and other equipment at Indonesia to warn of future disasters. Since then, a call has been made to update and replace this system. They were made in 2012 when the last buoys stopped working. The same calls were made in the aftermath of the tsunami in September and are now being redone. Until they are finally answered, the Indonesians remain nervous and watch the oceans. Azieza Uhnavy of CNN, Jamaluddin Masrur, Dakin Andone, Hilary Clarke and Yosef Riadi contributed to the coverage.